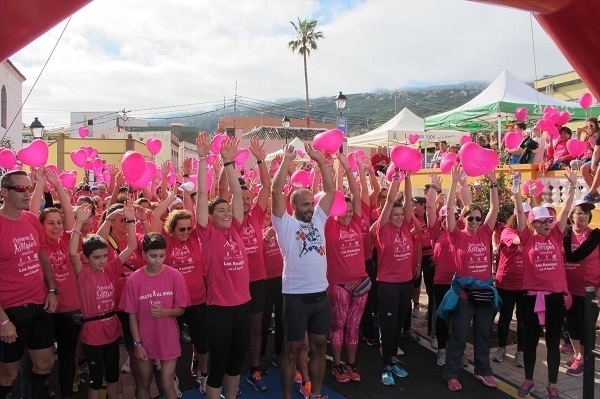 This Sunday, La Cruz Santa, above Los Realejos, will be hosting the ninth women's race, the proceeds of which will go to children suffering from cancer. In the last editions, an average of 2,000 women took part. The race has no competition character and covers 3.2 kilometres. Entries for the eight euro prize will be accepted at Guzmán Sports in La Laguna, Deportes Chicho in Tacoronte, Javisports in Santa Úrsula, Deportes del Castillo in the El Trompo shopping centre, Deportes Meypa in La Cruz Santa, El Cardumen in Puerto de la Cruz and in the Cafetería Oko, in the market hall at El Sauzal or at www.lifecanarias.com. Produced with news.CMS in 0,0621 seconds.